Well, I haven’t been to the park much lately but I have been entertained by the avian visitors to the backyard. On Labor Day, Sept. 3, I saw a Cooper’s Hawk perched on the short fence on the north edge of the backyard. I’ve been wondering what attracted it there. Maybe the next-door neighbor’s cat was out? Apparently I startled the hawk as it quickly flew to the top of the tree in their yard. Later in the week, on Sept. 6, my partner and I were standing on the patio and a Ruby-throated Hummingbird made a very brief visit to the only tubular flower in the little triangular flower garden area near where we stood. We were in the right place at the right time to witness its quickness. 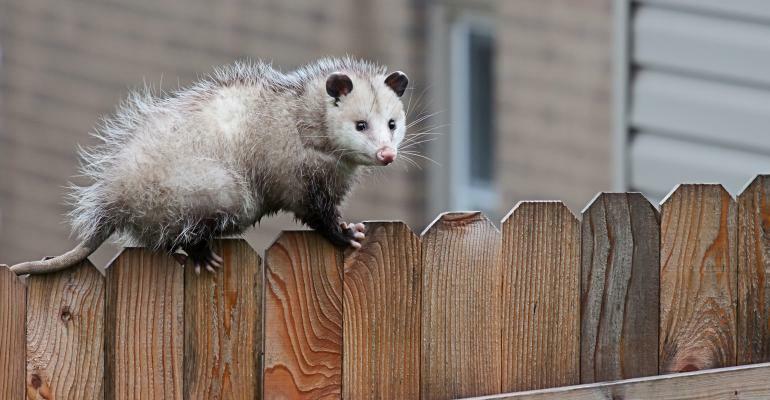 A good friend, fortunate to view our park from her front yard, informed me that she and her son have recently seen an opossum on their back porch and on another occasion, a family of four raccoons on that same porch. On yet another night, she observed three baby raccoons on the porch lattice roof. They were right outside a second floor window and munched on the grapes that weren’t harvested this year. From her vantage point, she sees the usual Canada Geese, Mallards, Wood Ducks, Herons, Egrets and Cormorants in the park. On Saturday, Sept.22, we ventured to Hastings to witness a raptor release event, sponsored by the Carpenter Nature Center and the U of M Raptor Center. A friend of ours who volunteers for the Raptor Center and who recently celebrated his 80th birthday was one of those chosen to release a Broad-winged Hawk. It was a lovely day to see several rehabilitated raptors successfully return to their glorious freedom. I would be remiss to not thank the people who have sent “thinking of you/fan letter” notes recently, prompted by the news of my recently diagnosed metastatic melanoma. Specific thanks to a couple who lives west of the park and to the mother and daughter who regularly read my column together. Health update: Near the end of September, I will begin a new regimen of two medicines to be administered intravenously, a dose of each medicine every three weeks for the first four doses. After this combination phase, this infusion (immunology) treatment continues with one of them alone every two weeks. Depending on how this goes, I may also later participate in a clinical trial.